This year Folkmoot has partnered with Upstate International to have its first ever performance in Greenville, South Carolina. On Wednesday, July 26th at 7:00 p.m., four of the talented international groups will entertain guests at the Centre Stage Performing Arts Theater, 501 River Street. This theater has a unique, thrust stage, with only seven rows in each section, so that audience members can experience the show in a new and intimate way. Prices range from $16.50-$32.50 depending on seat selection. Centre Stage was founded in 1983 by Douglas P. McCoy with the intent of creating a professional theater. 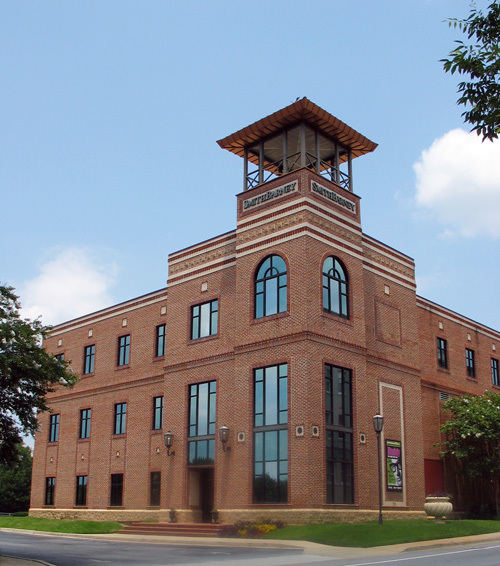 The theater held performances in local museums, churches, and fine arts centers until settling into a permanent location in 1996 at 501 River Street in downtown Greenville. This lovely theater seats 285 and is surrounded by the historic Falls Park and many shops and restaurants. Folkmoot is appreciative of all the assistance Upstate International has given to help prepare for this event and excited to be partnered alongside this organization that also has a passion for creating global friendships. Upstate International is a non-profit organization located in Greenville, SC that thrives on connecting those in the Upstate to dynamic exchange of international cultures and ideas through programs and events. Their goal is to provide opportunities for local residents to engage in cultural programs such as language classes, conversation opportunities, relocation services, and social clubs. Through the World Affairs Council, they have added educational forums and global business connections. “Upstate International is thrilled to partner with Folkmoot to bring this annual North Carolina festival to Greenville’s Center Stage for the first time. Upstate International and the Folkmoot Festival are aligned in their shared missions to build global relationships and foster cultural understanding. Music and dance are indeed universal languages that connect us across the cultural barriers that often isolate us from one another,” said Caren Senter program manager for Upstate International. For tickets, go to www.folkmoot.org and experience first-hand, the wonder of international music and dance.